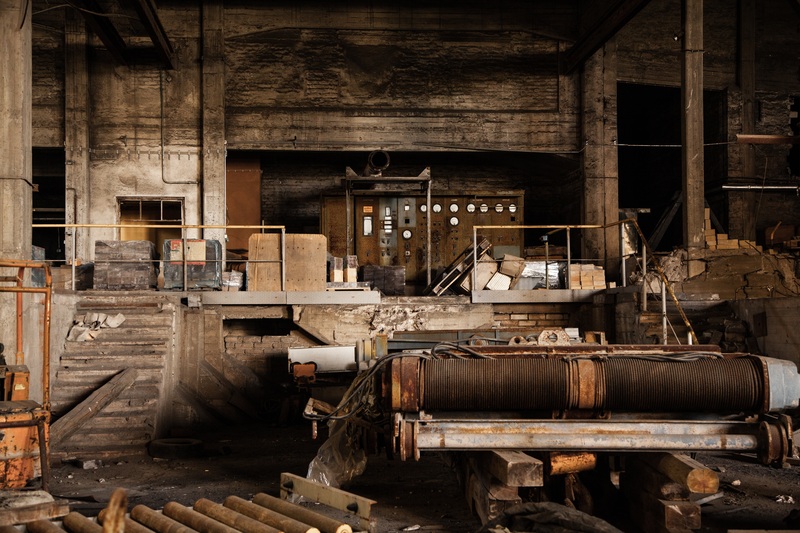 Urban Exploration (often shortened as URBEX or UE) is the examination of the normally unseen or off-limits parts of urban areas or industrial facilities. Urban exploration is also commonly referred to as infiltration, although some people consider infiltration to be more closely associated with the exploration of active or inhabited sites. It may also be referred to as draining (when exploring drains) urban spelunking, urban rock climbing, urban caving, or building hacking. The nature of this activity presents various risks, including both physical danger and the possibility of arrest and punishment. Many, but not all, of the activities associated with urban exploration could violate local or regional laws and certain broadly-interpreted anti-terrorism laws or be considered trespassing or invasion of privacy. First image hosting specialized in abandoned places, decay and urbex photography. "The best place to share and enjoy the most awesome urbex & abandoned places images"
Let me first introduce myself so you know who you are dealing with. My name is Marek, I am 24 years old and I have recently fallen in love with urbexing and everything around it – exploring derelict, abandoned buildings, photography, adrenalin, research, and history... Apart from going exploring myself whenever I have the chance, I’ve also had the privilege of going to a couple of adventures with more experienced urbexers and collected a lot of experiences along the way. Experiences, which I would like to share with you in the following blog post. Without further ado, let’s get to it! Urban exploration goes by many names, including Urbex, Infiltration, Reality Hacking and simply UE. The exciting art of “going where you’re not supposed to go” is peaking in popularity – but even if you’re a seasoned urbexer, we bet you don’t know about at least some of the 5 surprising facts about urbex we would like to discuss today! Intrigued? Keep reading to find out more! 1. The Suicide Club People have likely been exploring abandoned places for centuries, but the actual credit for establishing the UE movement as we know it goes to the San Francisco-based group from the 70’s, who liked to call themselves The Suicide Club. Their favourite activities included touring old hospitals and hosting classy dinners in strange abandoned places. How fancy!